Summer pulse agronomy: plant population, row spacing, varieties and nitrogen fixation. Emerging insect threats - We see ‘new’ pests every season. What are they, where are they and what action is needed? Grower experience of deep phosphorus applications in Downs farming systems. 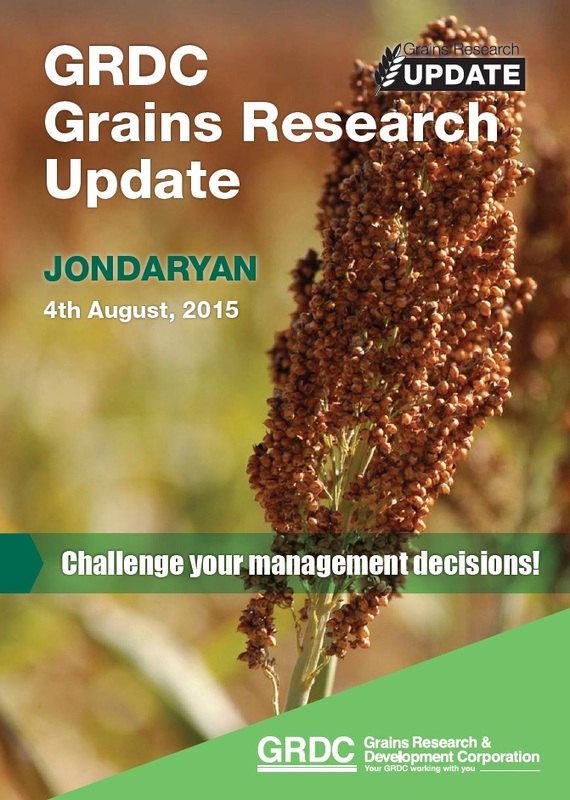 Managing barley and wheat diseases - priority issues and actions for 2015. Mouse management; lessons from 2014/15 and preparing for a possible mice plague.